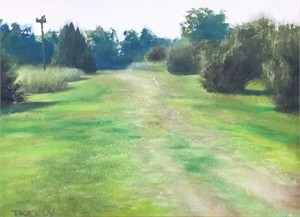 Empowered by creative license, many plein-air artists like to move things around in their paintings, and even add or exclude elements. 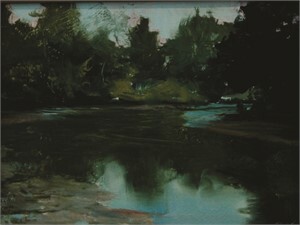 Tim Kelly, on the other hand, follows what he calls a “documentary approach” when working outdoors. “I don’t move a telephone pole here or there,” says the self-described purist. 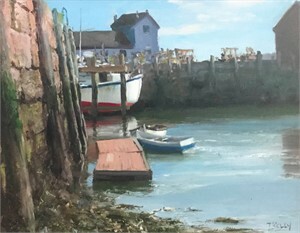 “I’m trying to get an accurate report of a scene to show I was there.&rldquo; For Kelly, who completes all his plein-air works from direct observation, the best part about this approach comes when someone instantly recognizes the location of a scene he has portrayed, whether it’s a landscape, lighthouse, boat dock, or back alley.